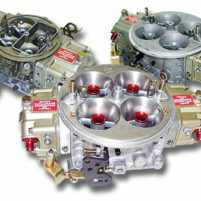 Custom fabricated manifolds to fit your engine combination. 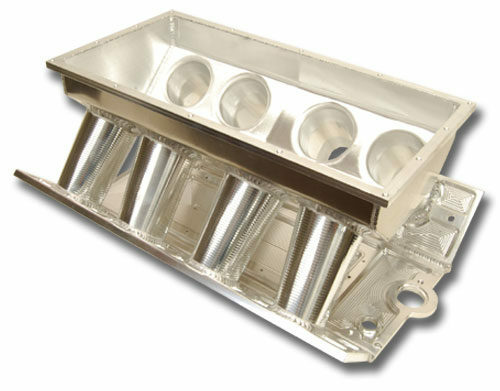 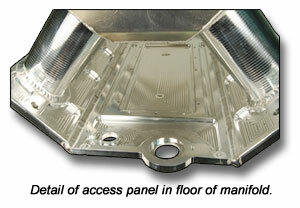 Each manifold is designed on our solid modeling software and CNC machined to exact tolerances. 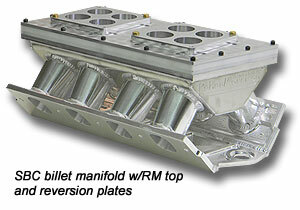 Each runner is cut from blocks billet aluminum. 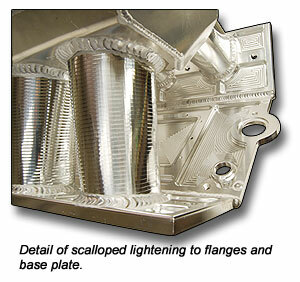 Base plates and flanges are cut from billet plates and are lightened in key areas to reduce weight without sacrificing structural integrity. 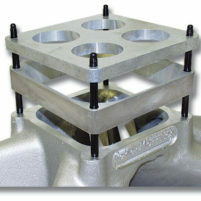 Reher Morrison custom manifolds are strong, light and designed for maximum efficiency and power!